In Finland, Nuclear Energy Company is Building without Construction License. Anti-nuclear activists are demanding Fennovoima stop destroying nature – Parempaa virtaa! 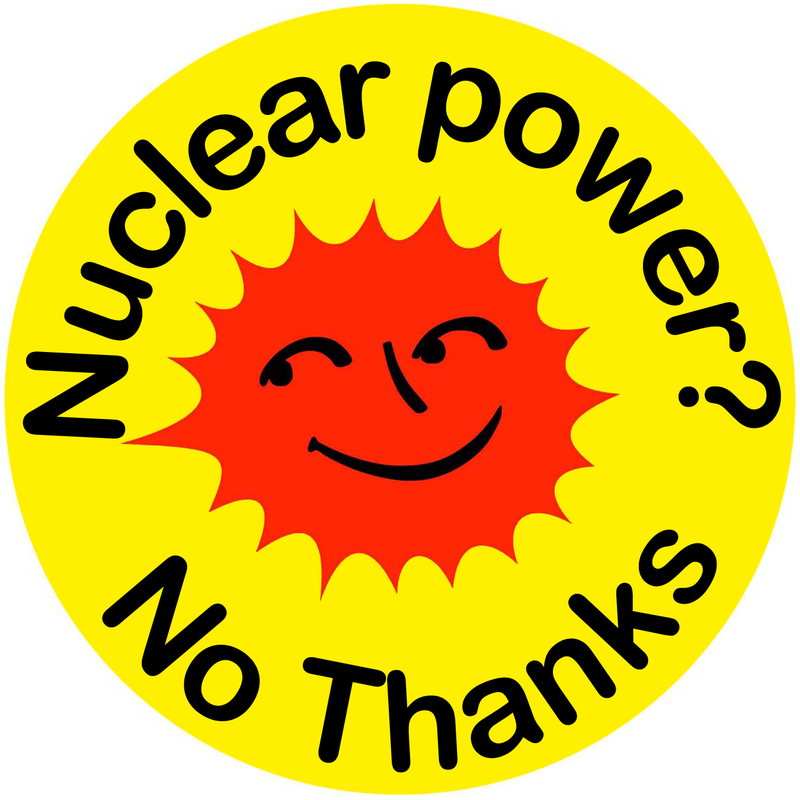 Finland – unlike other EU countries – is building more nuclear power plants. 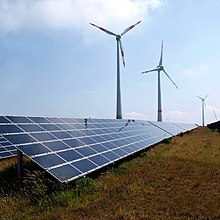 This northern, sparsely inhabited country is eager to invest in an old fashioned and high risk energy source. Finnish nuclear energy company Fennovoima made an agreement with Rusatom Overseas, which is the sub-company of the Russian state corporation Rosatom (1). They agreed to build a nuclear power plant on the coast of Bothnian Bay in the municipality of Pyhäjoki. According to the agreement, Rusatom Overseas will be supplying the reactor, and construction work will be implemented by sub-companies of Rosatom. The project is lacking investors, and doesn’t have a construction license to build the power plant. Many of the stakeholders have left the project. One of the criteria for the construction license of the Hanhikivi plant is 60% Finnish-European ownership. Another Finnish energy company, Fortum, was supposed to invest in Fennovoima with up to 15% ownership, but this is not necessarily going to happen. The decision of Fortum depends upon negotiations in Russia. Fortum is interested in significant shares of hydropower in Russia. Without Fortum’s share, Fennovoima will have significant problems. Fennovoima is supposed to submit an application for a construction license to build the Hanhikivi plant by July 1, 2015 (2,3). If this does not occur, the Finnish Parliamentary decision of 2010, in principle to build a nuclear power plant, will expire. However, Fennovoima has started the preparatory construction work for the nuclear power plant. 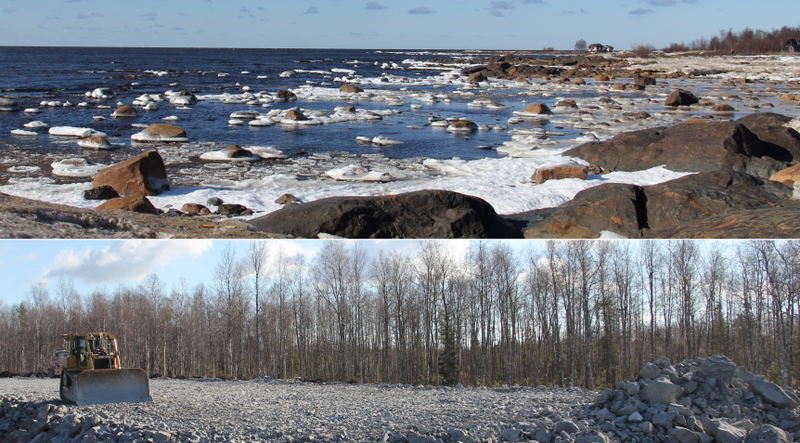 94 hectares of forests have been cut on the coast of Bothnian Bay, and construction of a fence around the plant site is scheduled to be finished by the end of May 2015 (1,7,5). The company also aims to start construction of administration buildings and a harbor during the summer. Fennovoima is keen to complete this construction work even if the plant construction license is denied. The shore of the area is very shallow, which means that the construction of the harbor would demand vast dredging work and huge amounts of earthmoving. The company is planning to dig a sea channel – 2.4 kilometers long and 8 meters deep – which would destroy the landscape completely (6). Environmental organizations and individuals have made several claims regarding all the permits on construction work for the possible power plant, but haven’t been able to stop the clear cut of forests or construction of a massive road for heavy machines. On April 16, Fennovoima signed a contract with waste management company Lassila & Tikanoja Biowatti to cut the forests. 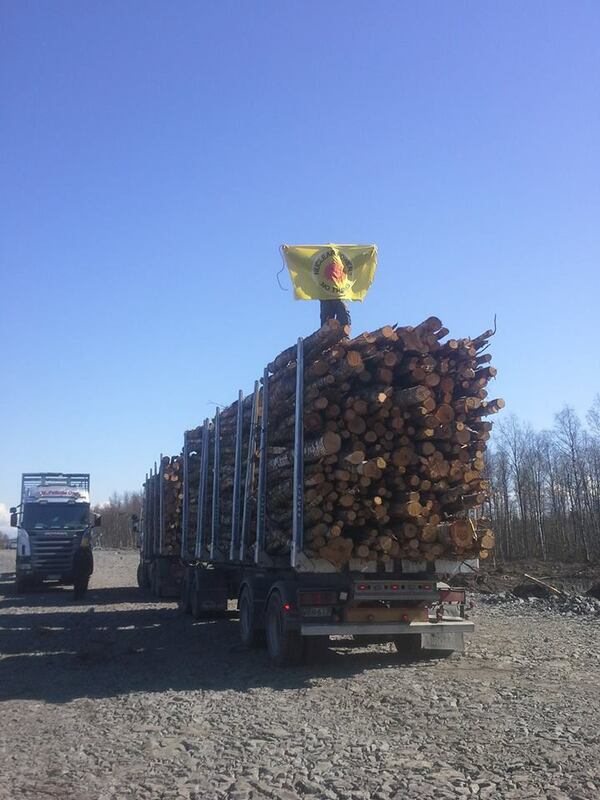 Stora Enso Metsä, a company previously contracted to cut the forest, pulled out from the project because the landscape permit was invalid due to the reclamations. Biowatti started the work immediately after signing the contract, and in two weeks the cutting was finished (5). Fennovoima has applied for water permits for different purposes. One of the applications covers the construction of the sea channel, harbor, and cooling water intake. The decisions for the permits are expected to be made in the beginning of the summer. All the applications have been submitted with applications for preliminary permits. If the permits – including preliminary permits – are issued, Fennovoima is allowed to start the construction work even if claims regarding permits were made (6). 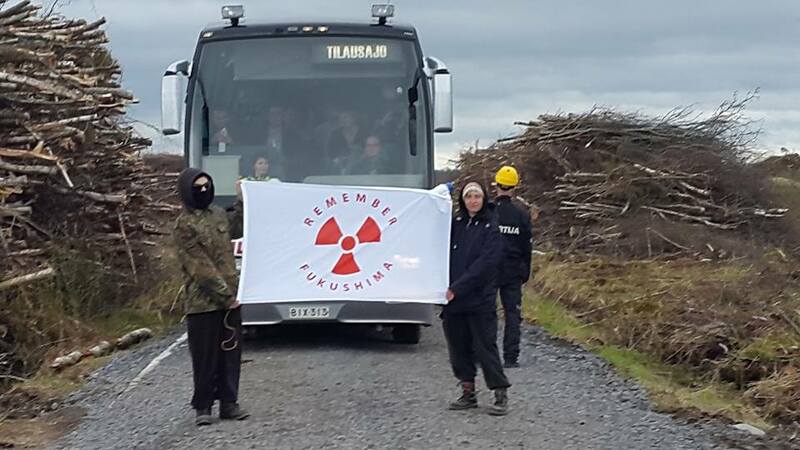 Anti-nuclear activists from different parts of Finland and abroad have gathered on the cape of Hanhikivi to protest, follow the progress of the project, report the events and prevent the work with nonviolent direct actions. The protest camp has been going on since April 21, 2015. Activists have slowed down the work by sitting on trees, placing themselves in front of the machines and by locking themselves to the machines. Local people have also taken part in the protest – for example, by blocking the road from cutting machines and security cars. The support from the locals has been many-sided. Some locals have lent their cottages to activists, and have come to the camp sometimes to talk and bring food and clean water. Many curious people have also come just to see what is happening at the camp (8). There are many cottages on the cape of Hanhikivi that are built by the locals for their retirement years. The locals have a deep emotional attachment to the area. The landscape is incredibly beautiful. It is impossible to understand how a place like this can be sacrificed solely for economic interests. At the end of May 2015, Fennovoima is keen to occupy the area, even though the decision on expropriation is not valid due to a reclamation. The company has an advance possession permit and is using that to demand that the owners vacate their cottages by May 31. The judicial process related to the expropriation might last until next year. This is the first time in Finland when a private company is applying for expropriation of land and premises. ← Järjestämme bussikyytejä leirille! Varaa paikkasi nyt!